Our HVAC team is honored and thrilled to be recognized with the Silver Medal Award for Best Heating and Cooling Company in the 2014 Tennessean’s Toast of Music City Awards, and the 1st Place Gold Medal award in 2015, 2016, and 2017 for all of Middle Tennessee. Morton Plumbing, Heating & Cooling thanks our loyal customers for their support and taking the time to vote. Our plumbers and staff are truly honored. Sales and Installation of air conditioners, heaters, and heat pump systems. We know when your air conditioner or heater breaks, you need an HVAC company that arrives quickly and repairs your unit the right way the first time. Our heating and cooling specialists work hard to earn and keep your business. All our work is guaranteed. We guarantee high quality repairs and your satisfaction. That is why our customers have been coming back for the past 20 years. Call us with any questions. We are glad to help. 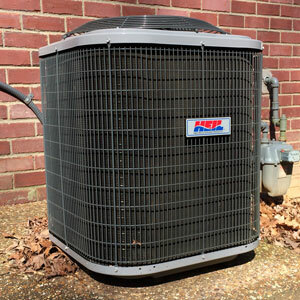 Our technicians are dedicated to making your heating or air conditioning unit perform as efficiently as possible. Sometimes the repair is as easy as a thermostat replacement. We recommend you buy a new unit in cases where the repair exceeds the cost of the new unit or when your current system is incapable of performing at the recommended level. Amana, York, Carrier, Dave Lennox Collection, Trane, Bryant, Aire Flow, AAON, Aire-Flo, American Standard, Armstrong, Comfortmaker, Frigidaire, Coleman, Gibson, Arcoaire, Climatemaster, Consolidated, Century, McGraw Edison, Ducane, Eubank, Janitrol, Intertherm, Heil, Rheem, Ruud, Maytag, Whirlpool, McQuay, Hall-Neal Furnace, Miller, National Us Radiator, Mueller Climatrol, Olsen, Westinghouse, Weatherking, Waterbury, WaterFurnace, Worthington, Williamson, and Tempstar. When it is time to replace your HVAC system, Morton Plumbing, Heating, and Cooling offers a variety of systems at different prices and efficiency and Energy Star ratings. We take time to explain the differences in the units to help you make a wise purchasing decision for your home. Morton Plumbing, Heating, & Cooling offers fair pricing with quality work, that equates to excellent value. Our HVAC team is not paid on commission. We do not offer incentives to our staff to sell you a service or product you don’t need. We waive our service call charge if you select us to perform your air conditioning or heating work. Schedule your HVAC service by calling Morton Plumbing, Heating & Cooling at (615) 255-2527 or by using our online service request form.